Sometimes I try experiments with my knitting outreach activities. This one worked out better than even I expected. 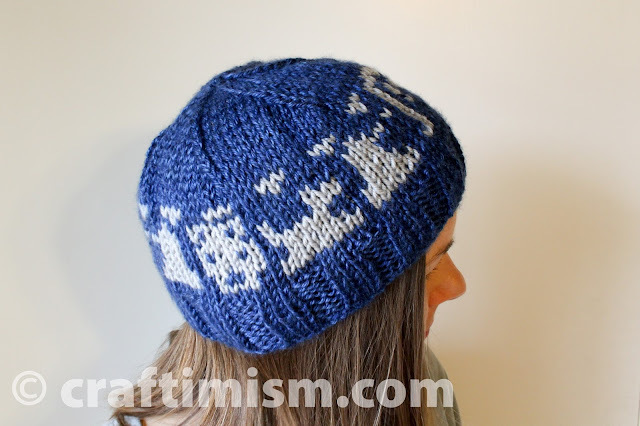 I ran a "Design your own knit hat" contest as part of my Science Knits display at the California Academy of Science's Maker's night last Spring. I provided graph paper and let the attendees fill in the boxes to design their own patterns. This design was the winner. It was a team effort between two very dedicated Whovians. 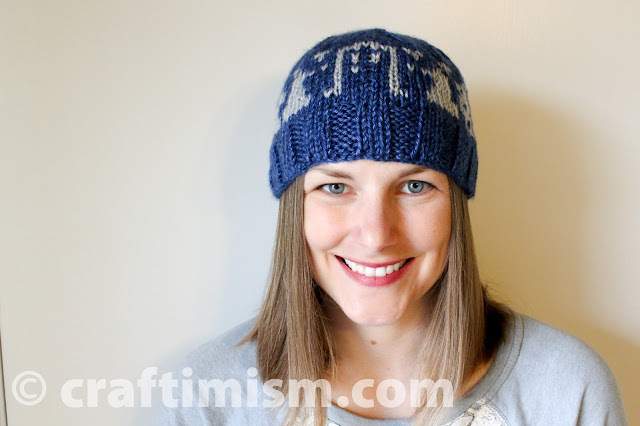 I wonder if they could tell I also love Doctor Who, because how could I not pick this awesome design! 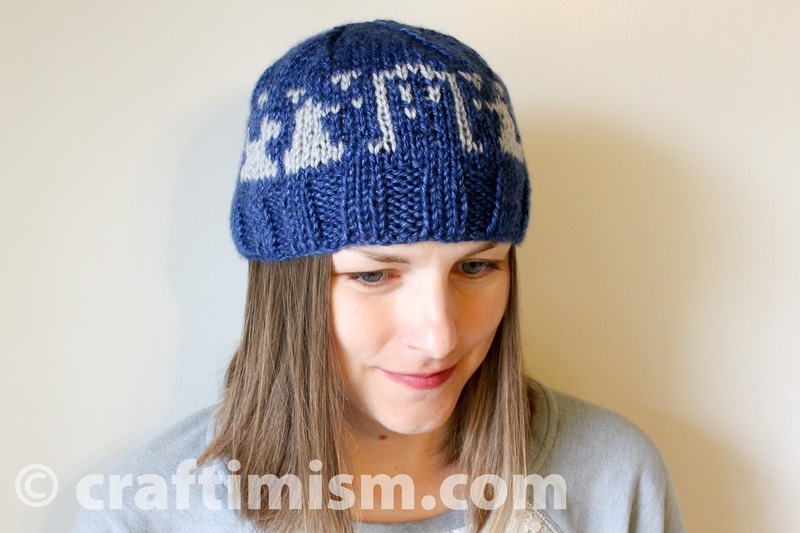 With a few tweaks it became this hat that features the TARDIS, Daleks, cybermen, and K-9. Isn't it so cool!! I sent this original hat to the designers as their reward for winning, but I may have to make another one for myself in the future! 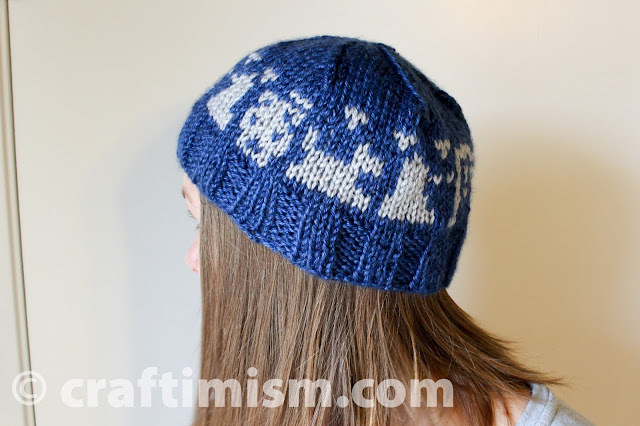 The pattern is listed here on Ravelry and here on Craftsy [link broken until I get time to upload pattern to Craftsy...]. You can also purchase it directly here.